Auto Complete is a really useful functionality that most of us have probably used many times before. The way it works is that when you start typing into an input field (a search field, for example), it offers you suggestions to complete your search query -- either words or phrases that might complete what you initially started typing. This functionality is super useful if you're on a device where typing can be a pain (a mobile device, for example). With auto complete options, the pain of typing out a long word or search query can be significantly lessened. If you want to add the professional touch of having a functionality like auto complete to your projects, check out any of these free and lightweight plugins that will make it happen. autoComplete is a super lightweight plugin that you can use to add a "completion suggester" to your projects using jQuery. Not only is it really lightweight, but it's also incredibly simple to download and install on any project. The EasyAutocomplete is another auto complete plugin that offers you a great deal of options in terms of styling and themes for your input field. Color, submit buttons, and shape of the input fields are all fully customizable, but if you're not a designer or don't have an eye for styling, you can choose from one of the pre-installed themes. 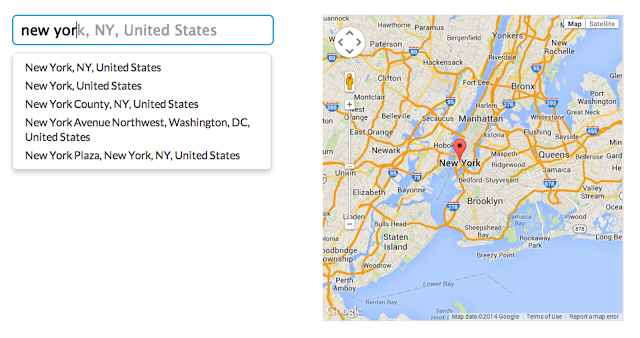 This is an auto complete plugin that was coded specifically for addresses by connecting suggestions to Google Maps auto complete service. The coolest feature of this plugin is that it can be linked to a Google Map display where the user can actually see the address they're trying to pull up on the map, so in terms of locating addresses, it can actually be used quite similarly to Google Maps. A really cool tool to have in your arsenal. This plugin allows you to easily add an auto complete functionality to your sites. The plugin is lightweight and the design is sleek and modern. With lots of options for customization in terms of both auto complete function and styling, this is a great, versatile plugin that should work with most projects and integrate easily with your sites. flexselect is a unique plugin that adds auto complete functionality to select menus. It takes traditional select menus (you know, the ones with the dropdown option that you have to select from), and turns them into something much more dynamic, by instead providing an input field with all of the options that can be chosen appearing below the input when it's selected/focused on.